Note: This is the ARABIC Version. For the English version, click here. The goal of Digital Literacy is to teach and assess basic computer concepts and skills so that people can use computer technology in everyday life to develop new social and economic opportunities for themselves, their families, and their communities. This course combines the 5 Microsoft modules to offer a comprehensive course on computer basic, the internet, productivity programmes and computer security. 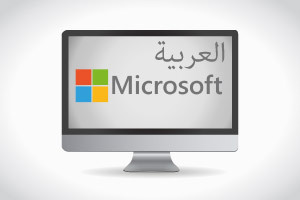 In this online Digital Literacy course in Arabic gain a good knowledge of digital technologies, digital productivity and computer security and privacy.